After all the research it is time to get cracking! Having a crystal clear picture of your goals and planning is key to save time and create a successful campaign. Keep track of progress: Add a first draft deadline and a final deadline, that will help you to keep track of the progress. Share and create awareness of your deadline so you commit to delivering but also, it will help you to engage with your potential viewers. Plan around seasonal events like New Years’ or summer holiday. Establish an overview of your business major events for instance feature new products or a project launch. Create a variety of content for different platforms to reach a maximum of potential clients. (Check out Part 2 of the video marketing series for some content inspiration). Create content as series, so you know what your next topic would be. Once you have created your publishing schedule set a reminder on your calendar to stick to it! Save a copy of the schedule on your mobile phone, so you have access at any time to post on social media. Set a day a month to work on the schedule, it will save you lots of time in the long run. Use the template we created especially for this series. 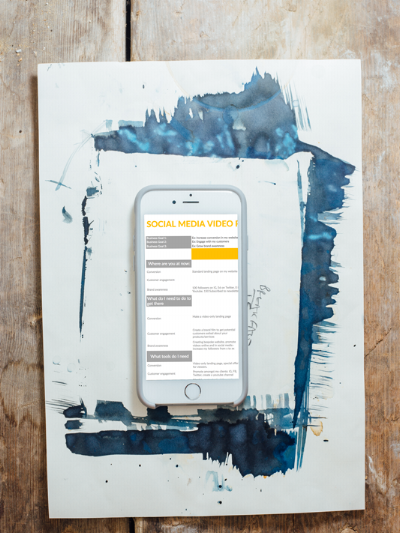 We have created a great Social Media Video Plan a content schedule and a video strategy all in one.It contains a goal setting worksheet with some tips that will help you build your strategy, a to-do list and a post schedule for your videos.